Don't want the story to end? Want to know what happens in the years between the novels? Join the club! 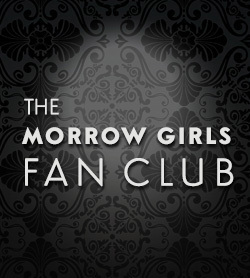 Who are the Morrow girls? The Morrow Girls Series follows three generations of women through the ups and downs of life, family, and love. The series begins with Belinda (a.k.a Pecan) and her struggle to end an abusive marriage. The series continues with her daughters as they heal from the wounds of their childhood and grow into adulthood. The Morrow girls are an endearing bunch—bold and feisty one minute, vulnerable and compassionate the next. Their lives are a true testament to the strength of the human psyche. Be the first to know when a new Morrow Girls novel is in stores! Read BONUS scenes and chapters! Download extended previews of each novel! Did you know that book #1 won a literary award in 2014? Click here to check out book #1. 2015 INDIEFAB BOOK OF THE YEAR FINALIST! Blue Sky was a finalist in both the General Fiction & Multicultural Fiction categories. "There was only one thing I wanted after my freedom. My girls." Don't want the story to end? Join the club!